It's the old prints that really add the charm to a room, and this is one of those special ones. It is 3/4 yard long, and the subject matter is simply breathtaking. 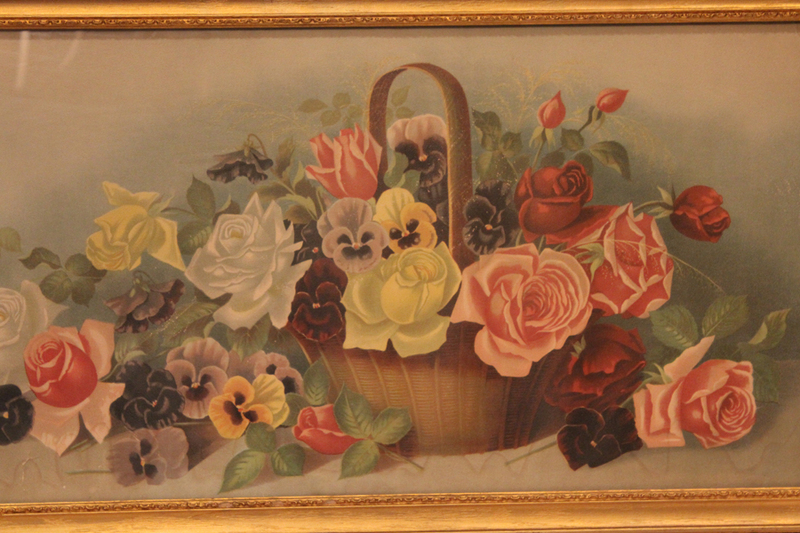 The gorgeous roses and flowers are done in the most beautiful colors of pink, white and butter yellow, lavender,ect. These are those special big cabbage roses that are breathtaking. There is a faded faint water mark at the bottom left side. 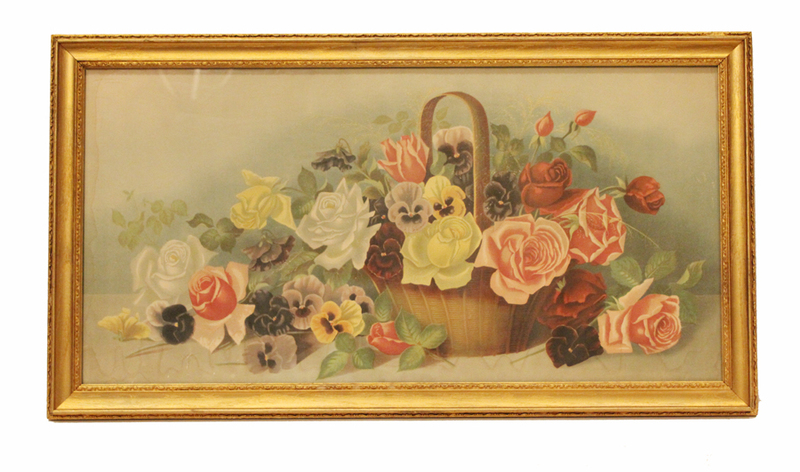 It is framed in the original wood frame and behind glass with a hanger on the back. 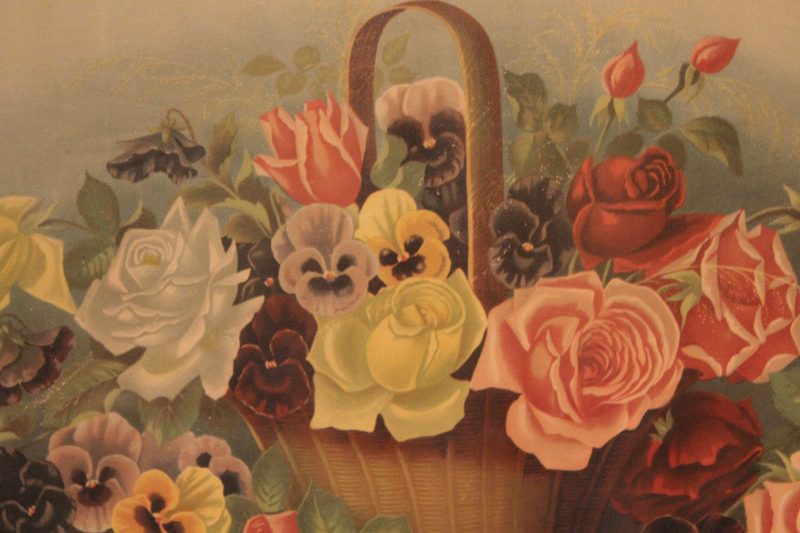 You will not be disappointed in this gorgeous old litho print! Measurements are 30 inches long by 17 inches tall.